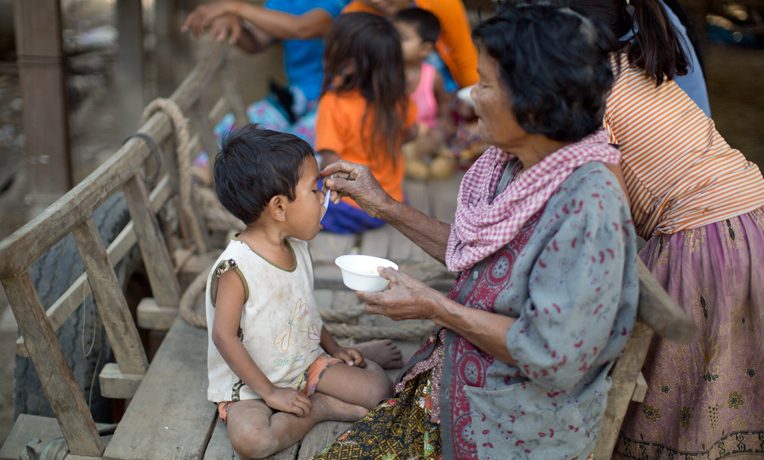 Women around the world, like this one in Cambodia, are learning how to properly feed their children. Miriam Anastazia is a 32-year-old mother in the Democratic Republic of the Congo who has learned how to help her children through Samaritan’s Purse nutrition programs. I’ve been greatly affected by violence in the Congo. Only two months after I got married, we were displaced by conflict. The cycle has continued since then. My husband and I lost everything we owned and have been constantly on the move with nowhere to call home. Now I’ve been married for 12 years. I’m a mother of six and currently 7 months pregnant. My youngest child, Martine, was only 14 months old when I became pregnant again. 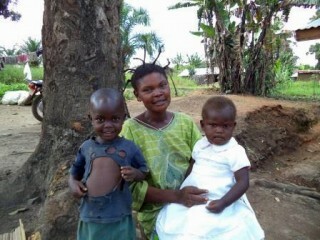 She suffered from severe diarrhea and other complications from poor nutrition and almost died. I was weak throughout that pregnancy, and my family spent a lot of money in hospital fees. It was a tough period psychologically. When I found out I was pregnant again, it was a startling reality, and all I had gone through with Martine weighed on me. I was really troubled and began looking for ways to secretly have an abortion. Miriam now knows how to better care for her children and her unborn child by feeding them nutritious food to help with their development. 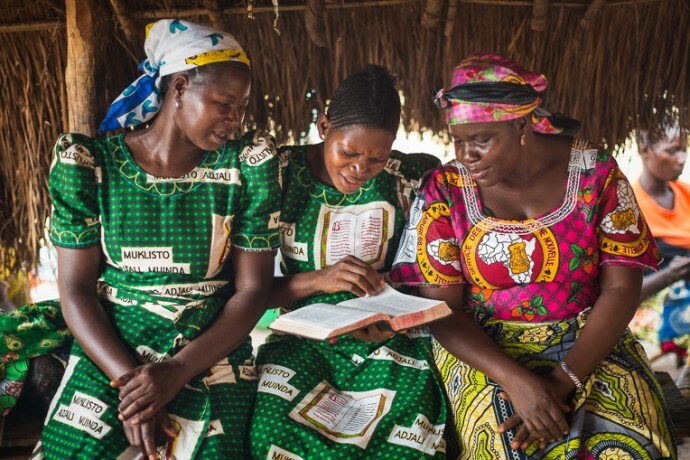 When Samaritan’s Purse began training women in my community about nutrition, I was immediately drawn to the teachings and to the spiritual comfort I received from the Word of God that was shared. The health promoter made several visits to my home to make sure I was in good health, and she told me that my little girl was a blessing from God although she wasn’t born yet. The health promoter taught me how to wean my baby and how to introduce complementary feeding. Now I know the components of a balanced diet and the things I should be eating so my baby and I will remain healthy. I am thankful to God and Samaritan’s Purse because my daughter is in good health. I have grown to love her, and I know she loves me too. Although she’s still inside me, I have asked for her forgiveness and have made peace with her and with God.